Four time Tony Award-winning musical production, Memphis, loosely based on the life of Memphis disc jockey Dewey Phillips, debuted on Tuesday November 22nd, 2011 at the Cadillac Palace Theatre in Chicago for a limited two week only engagement, playing November 22nd through December 4th. Taking place way down south in Memphis, Tennessee during the segregation movement of the 1950s, one young man named Huey Calhoun embarks on a journey to make a difference in his life and those around him. Along the way, he falls for a beautiful and charming black singer named Felicia Farrell, who sings at a smoky, underground club called Delray’s. The musical chronicles the humble beginnings and great rise of success and fame that both Huey and Felicia wholeheartedly strive to achieve in their lives during a time where dreams are deemed impossible and love constricted by race. The role of Huey, played by Bryan Fenkart, was enjoyable for the most part but quite annoying at times because of the characters obnoxious southern dialect. It wasn’t the southern accent as much as the personality of Huey that appeared to have a weak connection with the audience throughout the evening. The arrogance and haughtiness of Huey grew old and the repetitious behavior pattern lacked originality. The shows lead on the other hand, Felicia, played by Felicia Boswell stole the show in all it’s entirety. The petite actor floored the audience with her electric stage presence and outstanding vocal range. Boswell projected finesse and sincerity into the coveted role and brought a sense of excitement and fascination to the musical. Set aside from Broadway productions, Boswell should consider crossing over into the recording industry; she could potentially secure a very promising career as an artist. The focus was clearly the music and the message of the storyline, not the sets. The simple arrangement of the first act consisted of the underground club, the disc jockey’s sound booth and the Calhoun’s dinky apartment. 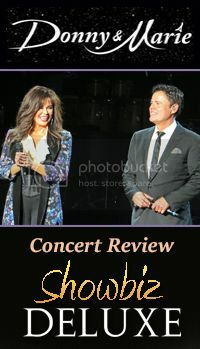 The second act continued with an upgraded version of Huey’s new apartment, the television studio for his new variety show and the glamorous stage that hosts Felicia's debut concert as a national touring act at the end. 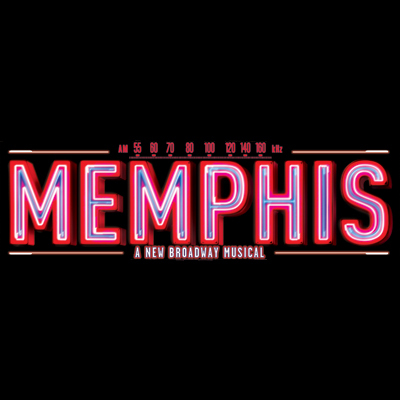 Memphis is directed by Christopher Ashley, choreographed by Sergio Trujillo, designed by David Gallo and features music and lyrics by David Bryan. The entire ensemble of singers and dancers were absolutely fantastic and each individual brought their own brand of uniqueness to the production. If you love a powerful message and the greatness of integrity, then Memphis is the show for you. One man, Huey, sacrificed everything in his life; fame, fortune, and most importantly, his true love, and then lost it all by staying true to his convictions and taking a stand on respecting humanity through civility. Thanks again to everyone at Korshak Public Relations and Broadway in Chicago for the opportunity to attend Memphis at the Cadillac Palace Theatre. See pictures from the show below. Do not use without prior consent from Broadway in Chicago.